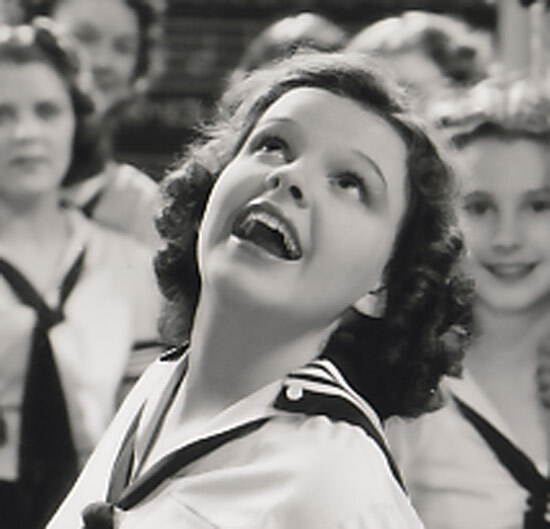 Judy Garland: All Singin’, All Dancin’, All Judy! In Pigskin Parade (on loan from M-G-M to 20th-Century Fox, the studio that gets the credit for putting Garland in her first full length motion picture) Garland has just turned 14, and asks at least three times a version of this question: “I can sing, you want to hear me?” The reward of that singing is what keeps this movie alive at all. By 1938 and M-G-M’s Everybody Sing, the ruse is no longer used, audiences are primed to hear the Garland voice, and she leads us all in song. Note that in this particular coupling of cinematic adventures, Garland is early matched up with two actors (Jack Haley and Billie Burke) with whom she will soon be working with Munchkins, wizards, witches, more farm hands, and flying houses. 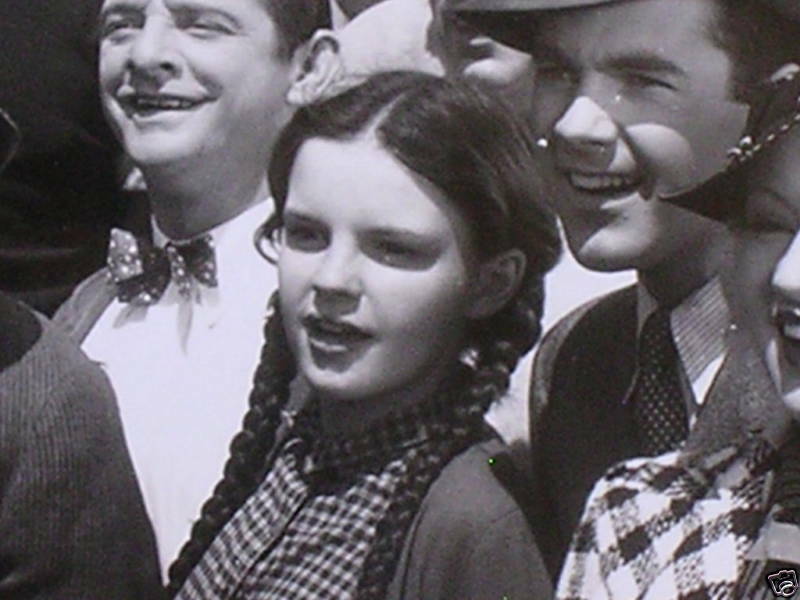 Sairy Dodd in adorable pigtails, with a Yacht Club Boy to the left of the image and Fred Kohler Jr. to the right. Judy Bellaire leads her classmates in “Swing Mr. Mendelssohn”. The joy is contagious. I have a special place in my heart for the odd and farcical You Can’t Take It With You-esque theatrical family (and house in perpetual chaos) in Everybody Sing. From the first moments of Judy Bellaire (Garland) as a school girl causing a bit of music class havoc turning a Mendelssohn ditty into a bit of swing fever, we’re hooked. Judy’s penchant for swing gets her thrown out of school and a return to a household with a playwright father, actress mother (Billie Burke) and sister (Lynne Carver), and a cook with a performing past (Fanny Brice, the great and masterful). Little Judy’s singing talent will win the day and resources to keep the family afloat. Some songs hit, some songs miss, some acts lead your mind to wander. And still, this charms. 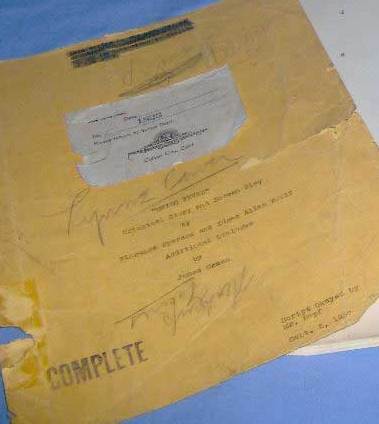 And not long ago I purchased a copy of a working script (then called “Swing Fever”) that belonged to Lynne Carver, the actress who plays Judy’s older sister Sylvia in this bit of fluffy entertainment. It is a wonder to see what a studio and brilliant creative people can make out of a sketchy outline of a script draft on paper.